Brand: The Charles & Charles label was established in 2008 and is a collaboration between Wine Enthusiast Magazine ‘2014 Winemaker of The Year’ Charles Smith of Charles Smith Wines and K Vintners fame, and Charles Bieler, a member of the Three Thieves label and Bieler Pere et Fils. They set out to prove that pink wine doesn’t have to be sweet, and “Yes, you can drink Rosé and still be bad *ss”. The label [along with Three Thieves labels] was created by the legendary Nashville Hatch Show prints, which were the essence of old school American entertainment posters for more than 125 years. The abstract American Flag represents “the tremendous wine heritage and current practice right here in our great country”. Winemaking: The 2015 vintage is the first vintage that grapes were sourced from vineyards that were devoted solely to Rosé production. The desired flavour profile for a Rosé is different then a red blend. 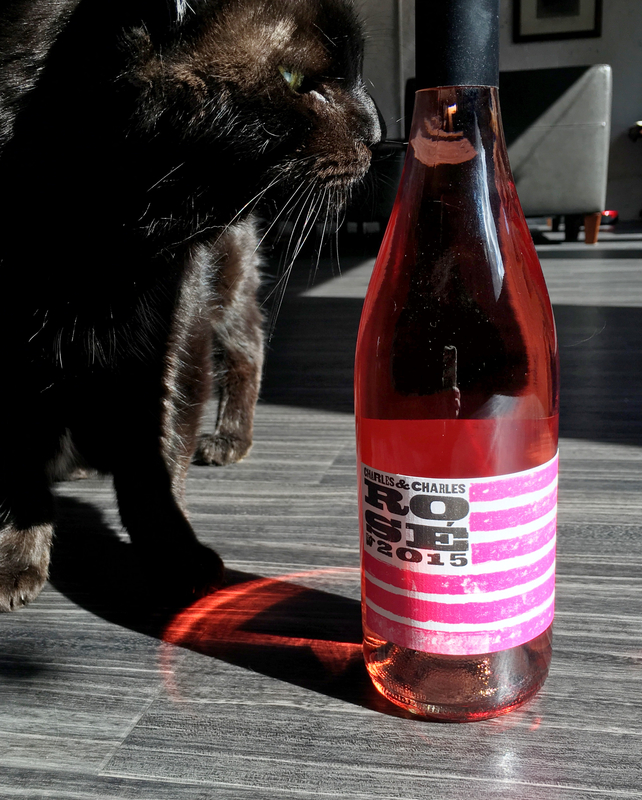 “With the Rosé, we strive for a long hang time to develop flavor, but with low alcohol and ripeness. We invite the tension of a touch of herbal and under ripe notes, a problem we don’t at all want for the red wine blend.” 2015 went on record as the warmest vintage in Washington State, resulting in wineries having to take risks in their harvest dates. For the Rosé, Charles Smith “picked early to capture fresh fruit flavors, but not so early as to lose flavor, a line as thin as a knife’s edge”. 55,000 cases made. Tasting Notes: Bright cherry-pink in colour with aromas of strawberry, mint, watermelon and just a slight hint of anise. Tasting quite similar to the aromas, with strawberry and melon brightened by a good streak of acidity. A hint of shortbread on the dry mineral finish adds an unexpected, enjoyable layer to each sip.